A new improved 2016 version of model BSR119 ,117, 105, 106, 107 and 108 is now available. The new versions have a twin motor system incorporating a safety auto-stop up and down. Guide price GB £1063 ex VAT for item BSR 117, this is the most popular UK model. Ideal for nurseries and pre-schools to avoid staff back injury lifting young children. 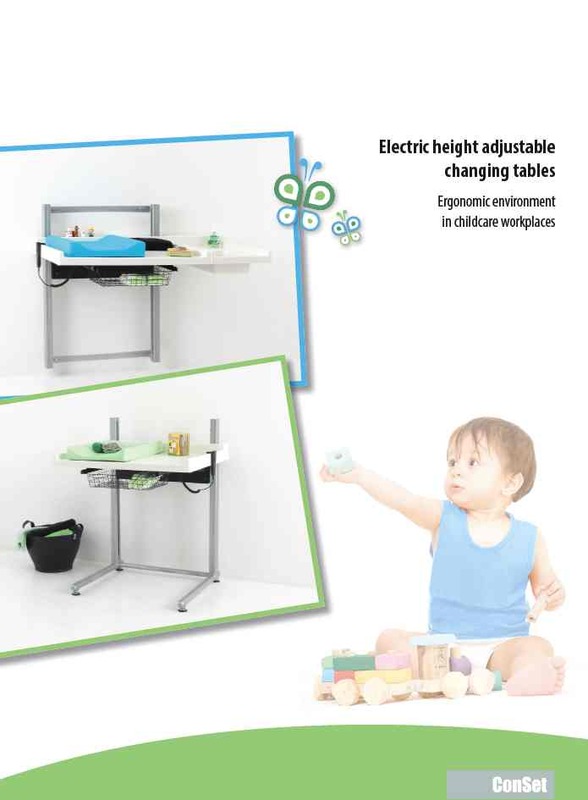 Some have very low height for access, the electric height adjustment can then raise the child by 750mm. This very special table series is an essential tool for all professional preschools. 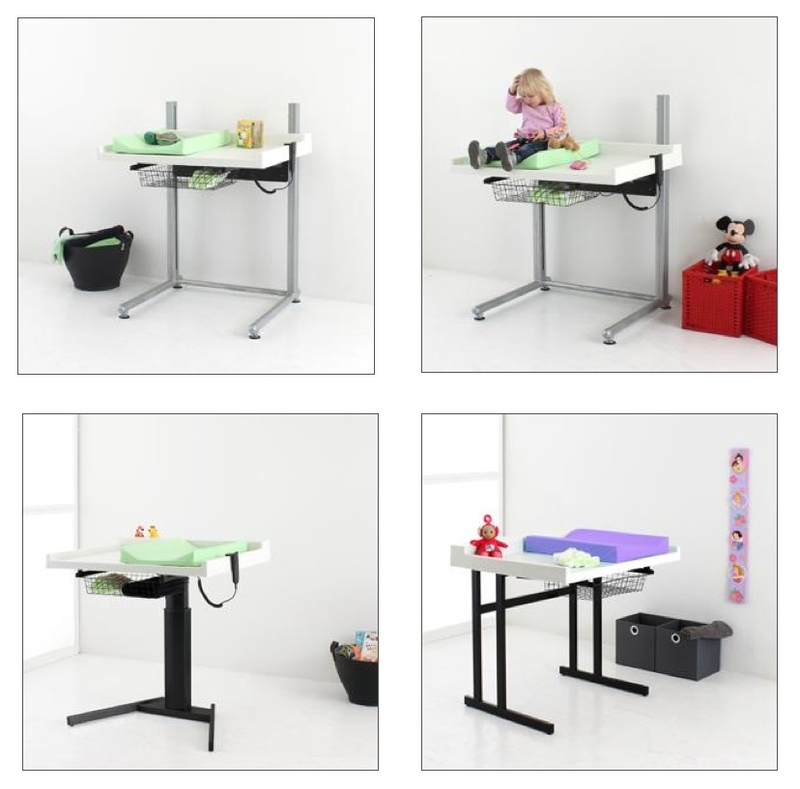 Designed to help minimize staff absences & back problems that are often caused by lifting young children. Peak lifting capacity 70kg, suggested regular working load up to 30kg. Tel 01245 477922 email sales@interlineuk.com Delivery period usually 2-4 weeks. Baby changing tables BSR105, BSR107, BSR117, BSR119 have built in autostop. If the unit hits something it will apply a small pressure and stop. Please also call us if you need product information and for the contact details for a suitable supplier.